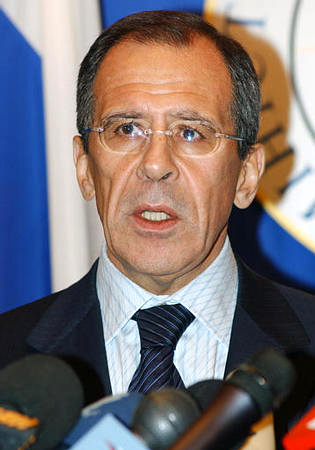 The Russian Foreign Minister Sergey Lavrov positively assessed the results of his meeting with his colleagues from Azerbaijan and Armenia who arrived in Moscow to discuss the Nagorno-Karabakh conflict. According to the Russian Foreign Minister, the meeting was very productive. The tri-lateral meeting held in Smolensk Square was attended by the Foreign Minister of Azerbaijan, Elmar Mammadyarov and Foreign Minister of Armenia, Vardan Oskanyan, Trend reports quoting ITAR-TASS. Moscow was not selected a place for the trilateral meeting by accident but because historically Russia has played an important role in the Caucasus, particularly in the settlement of the Nagorno-Karabakh conflict, the diplomatic source in Moscow stated. He stressed that the key topic of this meeting was directed towards finding ways of resolving the Nagorno-Karabakh conflict. The Russian co-chair of the OSCE Yuri Merzlyakov said the agreement to conduct the meeting of the Azerbaijan and Armenian Foreign Ministers was reached as a result of the negotiations of the OSCE Minsk Group co-chairs in Baku and Yerevan.